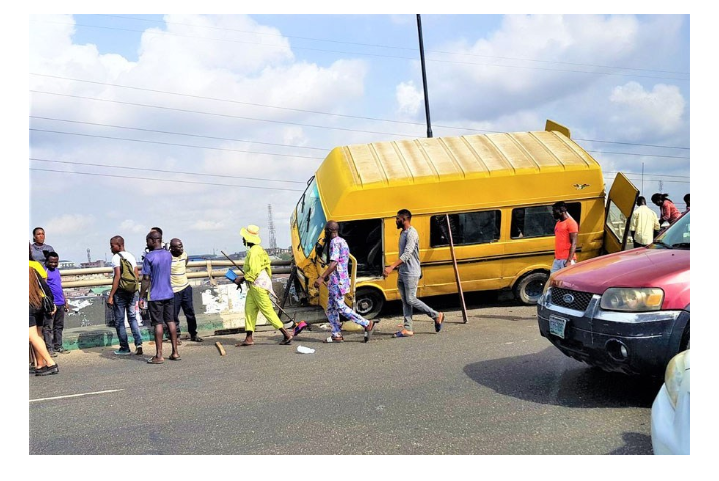 A danfo bus almost plunges into the third mainland bridge in Lagos with a full load of passengers going to work as the driver dozed off. The reckless danfo driver almost drove the vehicle right across the railings on the Third-Mainland Bridge. But thanks to the barrier, which stopped the danfo just at the edge of the bridge, leaving the vehicle suspended on the railings.